Silly glasses, blossom and lots of yogis! Bit of a delayed start to the day today as we sat in the garden and watched the eclipse. Well, you have to, don’t you?!! 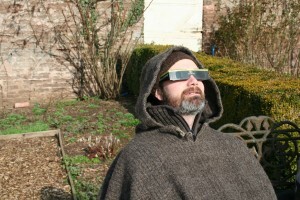 Mel had saved the 1999 eclipse glasses (which hadn’t got any more stylish in storage! 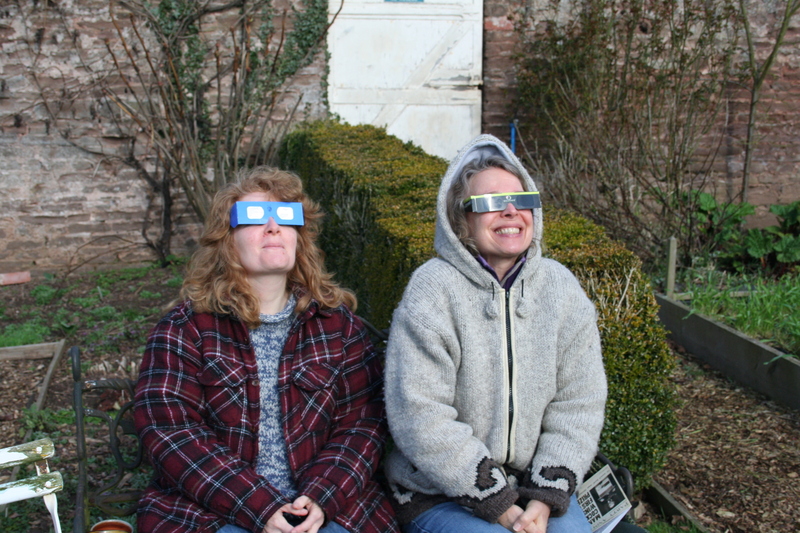 !…) and Gail, Mel and Steve had breakfast sharing the silly specs and watching the moon move across the sun. With all the little details that need attending to in our lives as in everyone else’s, it felt good to have them all put into perspective by this mighty event. I think it was Professor Brian Cox who said that an eclipse always reminds him that we are living on a very small rock in a very big universe! And after that we unpacked the grocery deliveries!!!! Richard & Marigold Farmer (http://www.tmwtraining.com/ and http://www.soulmoves.co.uk/) and their Giant Leap 1 group are arriving tonight and just having their supper. It’s lovely to see all our old Rising Dragon Tai Chi chums arriving and settling in. 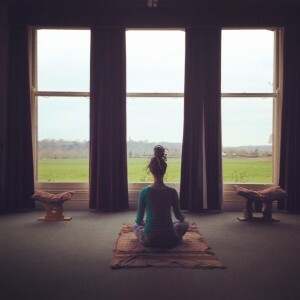 Over the last few weeks we have had a steady stream of yogis moving through the house. Burgs and The Art of Meditation (http://theartofmeditation.org/) brought two retreats in, pretty much back to back and it was very restful having the house in silence for that period. 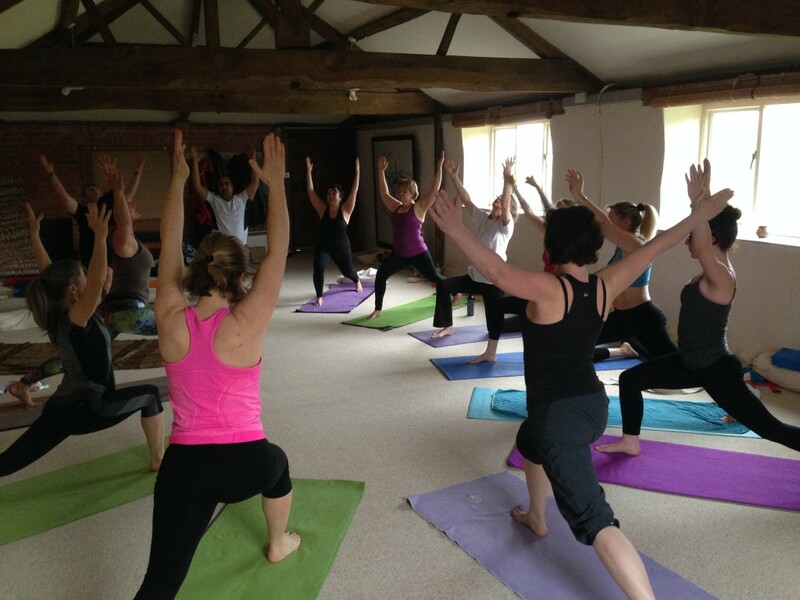 And Burgs was followed by Feel Hot Yoga (http://feelhotyoga.co.uk/) who were new to Poulstone and really enjoyed their first stay. Tutors Nina, Shasha and David were great to work with and Shasha has written a very lovely account of their time here at http://shasharishi.grokbox.co.uk/?p=236. We were particularly pleased that they enjoyed being without mobile phones and wi-fi, seeing it as part of decompressing from busy urban life. We hear news of their return and look forward to it! 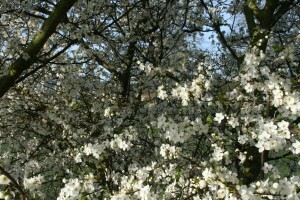 Chief amongst our garden pleasures this week is the blossoming cherry plum. This is an annual delight and usually one or two groups are lucky enough to be here when it bursts forth! 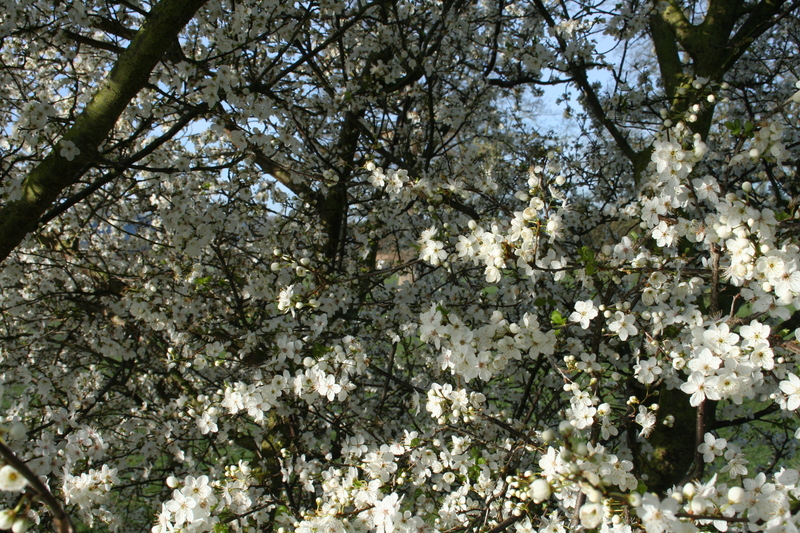 The bees were loving it today and the fragrance is wonderful. That’s all from us right now!